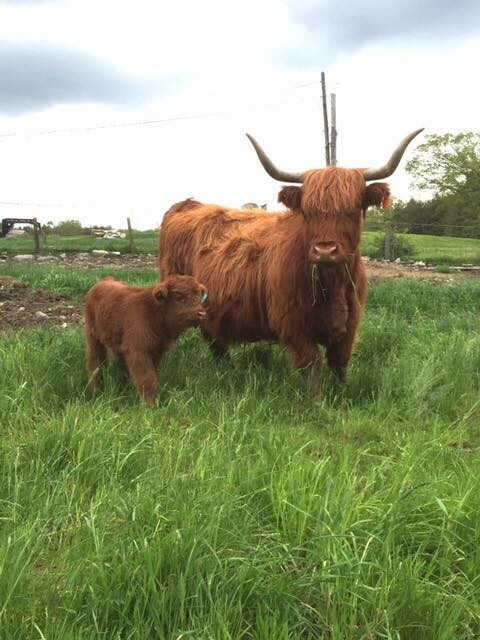 Our livestock are raised with access to the outdoors 12 months out of the year. 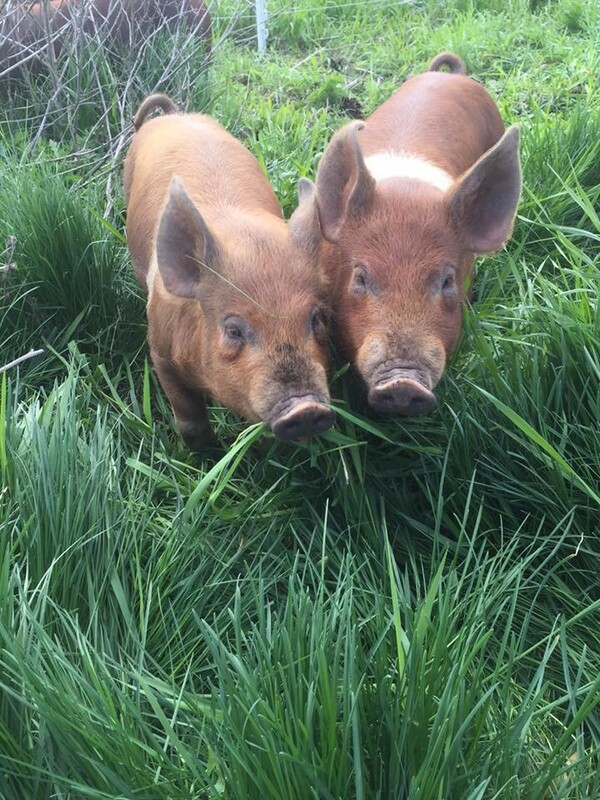 The pigs eat grass and dig for roots during the warmer months, and are supplemented with a premixed hog feed to ensure proper health. In the winter when the ground is frozen, they are fed hog food along with organic carrots and beets, our own organic eggs, and other vegetable scraps such as pumpkin. Our cattle are strictly grass-fed and NEVER receive corn or other grains. 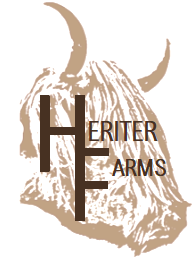 During the winter they are fed high quality organic hay produced right on site, and our own silage hay which is like regular hay, but instead it is cut, baled and then wrapped while green and fresh. It ferments in the wrapping and turns sweet, increasing in nutritional value and the cows really enjoy it! 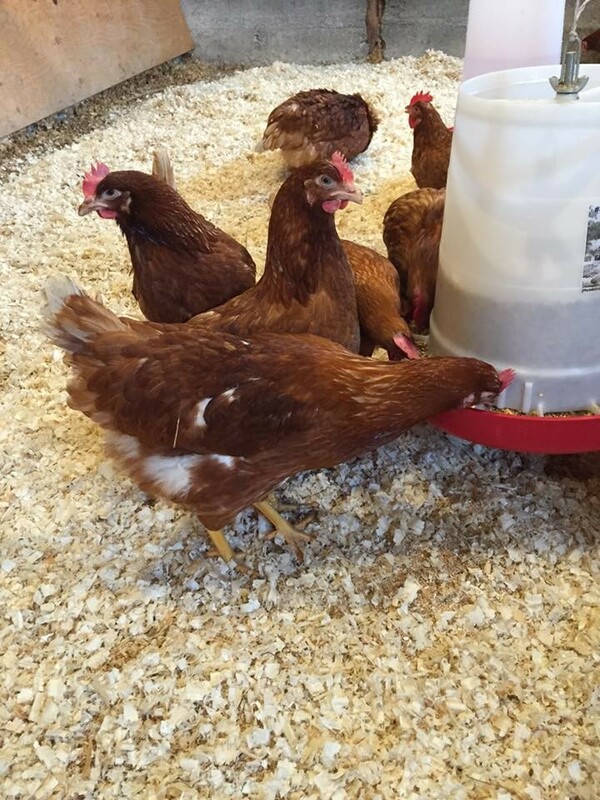 Our chickens are pastured in the spring/summer/fall and fed a high quality mixed feed. During the winter they are kept in a large, well-ventilated barn and allowed outside as they choose. We give them organic vegetable scraps, crushed oyster shells, and greens when available. The fresh organic root vegetables are purchased from Pfenning's Organic Farm in New Hamburg, ON, which is certified organic through ProCert. They supply us with carrots, beets, greens and other treats for our pigs and chickens!